New MEPs are defined as those who did not sit in the EP either in the previous term (2009-14) or in a preceding one. Overall, of the 751 MEPs, 48.5% were new to the EP in 2014, whilst 51.5% were Members in a previous term. 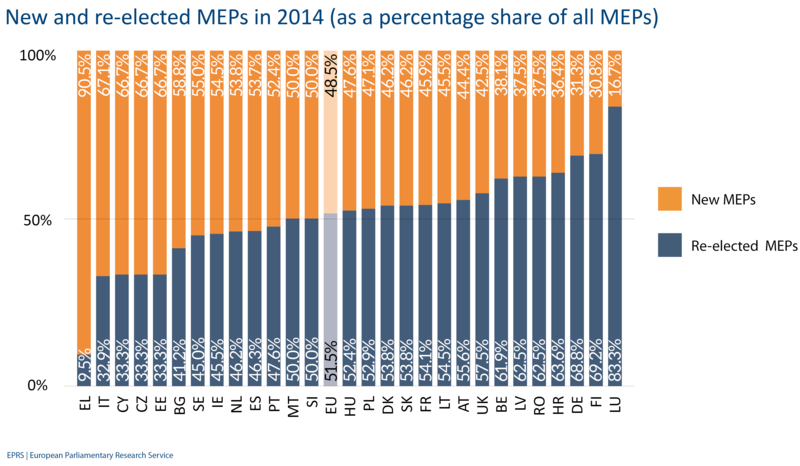 The highest proportion of new MEPs was in Greece (90.5%), whilst the lowest was in Luxembourg (16.7%).